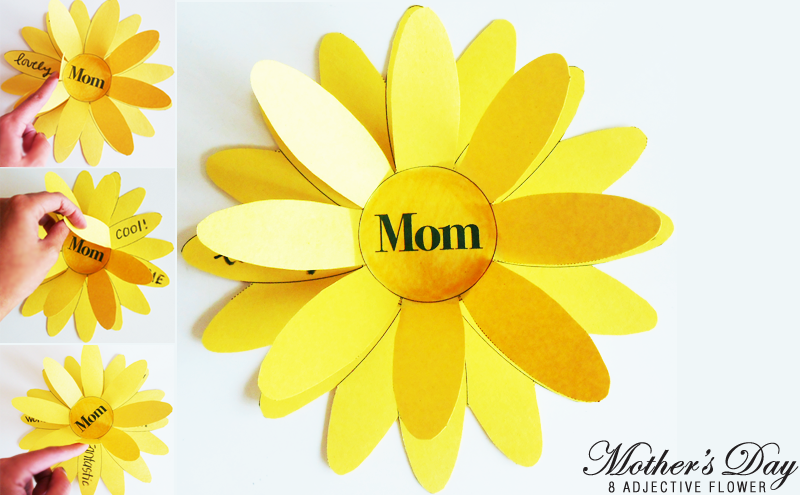 8 adjective flower card for mom! Kids think up eight adjectives that describe their mom, color their flower, and cut it out. Then, they color the smaller flower, cut it out, glue the center on top of their larger flower, and bend the petals upward. Add a stem (pipe cleaner, green popsicle stick, etc.)! Moms lift up the petals to read special words that describe them.